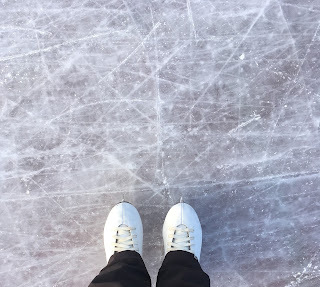 I was reminded recently that as a pre teen I had a pair of double bladed skates and we skated near a friend’s house in a flooded lot. Less chance of a spill with double blades! I don’t think I’ve skated since. Yikes! That sounds like a terrible experience. I'm glad I never learned to skate after that story. Just think how often professional skaters have been injured, but still keep at it.